May 12-16 is Way to Go! 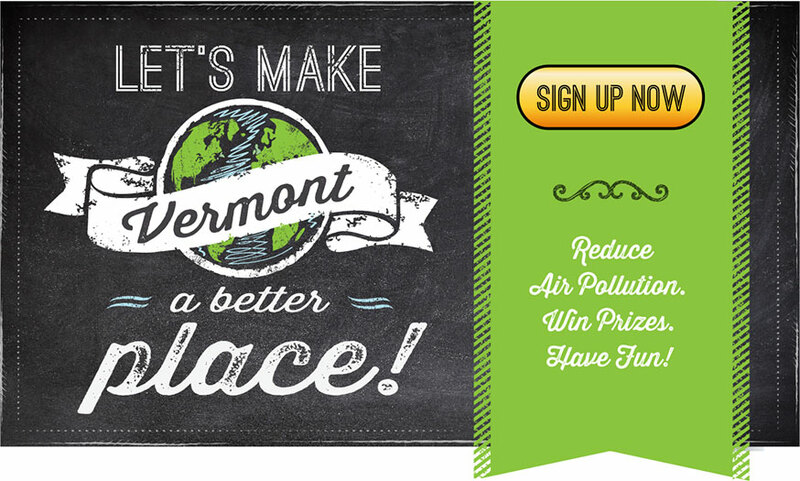 Week, an annual event where Vermont businesses and organizations compete to see who can reduce their carbon emissions the most! The goal is to save 300,000 pounds of carbon pollution as a state. After you sign up as part of an organization or as an individual, you can track your progress using an online dashboard and compare your organization to others throughout the week. CVRPC is signed up and we encourage you to participate as well. Your organization could earn the coveted Carbon Cup trophy, and as a participant, you could win a variety of different raffle prizes. For a complete list, click here. There are many Ways to Go that can cut down on your carbon emissions. Carpooling, vanpooling, biking, walking, carsharing, taking the bus, and telecommuting are all great options, depending on where you work! For a complete list and some resources to help you get there, click here. Fire up your friends, coworkers, or classmates by using a variety of promotional tools found on the Way to Go! website. Together, let’s make Vermont a better place! Click here to veiw the USGS river gauges in your area or paste http://water.weather.gov/ahps2/index.php?wfo=btv into your web browser. Two reports highlighting the Great Brook in Plainfield, VT have been recently completed. The first is a River Corridor Plan and the second is a Landslide Hazards Report. Both documents are part of a project funded by the VT ANR Ecosystems Restoration Grant program. The consultants involved in the writing of these reports will be presenting the results April 8th from 7:45-9:00 pm at CVRPC monthly commission meeting. You can download a copy of these reports by visiting http://centralvtplanning.org/programs/watershed/. Position Description: This SerVermont A*VISTA member will assist Central Vermont Regional Planning Commission staff in developing, promoting and implementing various stakeholder and community engagement activities related to CVRPC’s Regional Plan development (Plan Central Vermont: Shaping Our Region from the Ground Up). Engagement activities will focus on helping create the future vision, goals and strategies that address issues associated with alleviating poverty in the Central Vermont Region, including: economic opportunity, transportation, affordable housing, environmental justice and food security. The A*VISTA member will manage electronic, social and print media, develop resource materials, organize events and outreach activities, coordinate and provide support to Plan Central Vermont Committees, and maintain strong communication with the Commission, member towns and partner organizations. This A*VISTA member will start early August 2014 and serve for one-year, with potential to continue a second year of service. Qualifications: The candidate should have a good understanding of local and regional planning issues, be able to speak in public, attend evening meetings, read and write well, have good interpersonal skills, pay attention to detail, and have a solid work ethic. In addition, the candidate should be proficient in Microsoft Office, and have the ability to work on multiple projects simultaneously. Experience with multimedia production (photo, video and graphic design) considered an asset. Full time VISTA position benefits include: annual stipend of approximately $11,352, choice of $5,550 Segal Education Award OR $1,500 end–of-service stipend, health care and more. Application Instructions: Information about CVRPC and its member towns can be found at www.centralvtplanning.org. Persons interested in applying for the A*VISTA member position should submit a cover letter, resume, and three references by May 1, 2014 to the attention of: Susan Sinclair, Executive Director, CVRPC, 29 Main Street, Suite 4 Montpelier, VT 05602. No phone calls please. Resumes may be emailed to cvrpc@cvregion.com. This plan puts the focus on the greatest sources of phosphorus, polluted runoff from farms, developed areas, and roads, and stream and riverbank erosion, and not on wastewater treatment plant discharges which contribute a relatively small proportion of the phosphorus load, and where we have already made significant gains. However, this is a draft plan and we expect that we will make further changes to it before the final version is submitted by the State. The VT Department of Environmental Conservation is looking for comments from EPA and also from legislators, key stakeholders and the public. For further information, please contact David Mears at david.mears@state.vt.us or 802-828-1556, or Leila LaRosa at 802-238-7986.